This time I am in Istanbul to shoot for the Christmas issue of Gastronomos Magazine of Kathimerini. Within the program there is a chance to visit the Phanar. 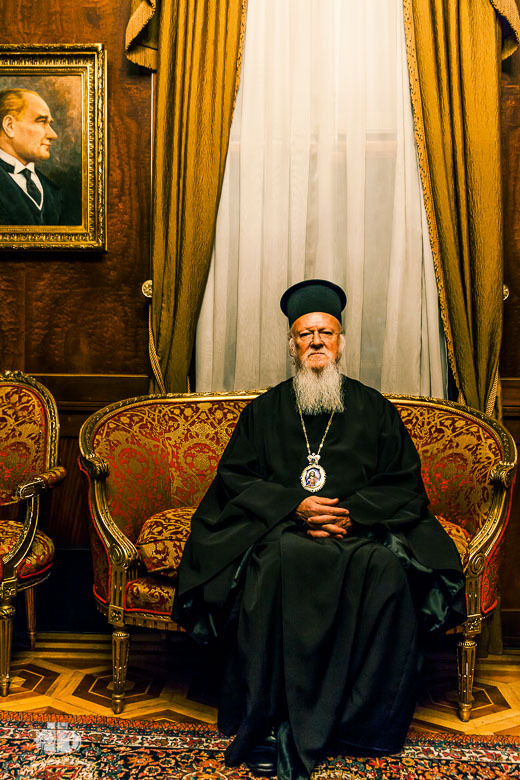 A Greek tribute about Istanbul has to include images from the Patriarchate. 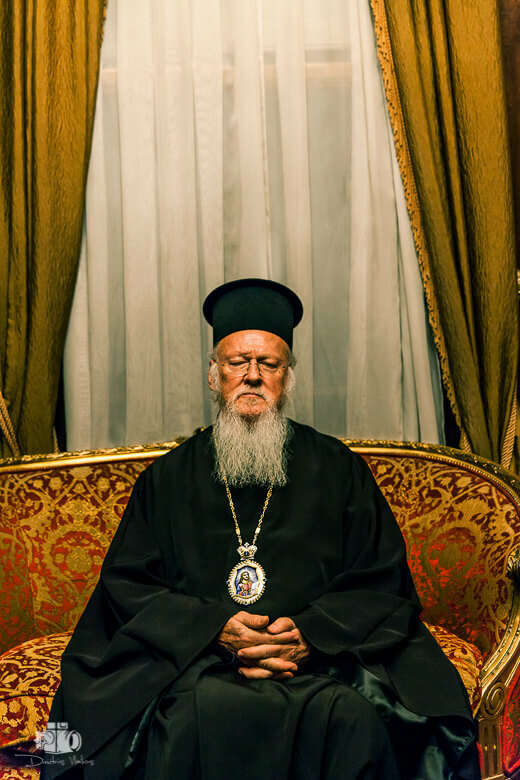 Due to the program of the Ecumenical Patriarch Bartholomaios, we considered that it will be quite difficult to meet him, but not impossible. The people of Phanar welcome us warmly… Two days after the possibility to meet the Ecumenical Patriarch has confirmed! The visit to the Phanar and a meeting with the Ecumenical Patriarch its a matter of time! I am with the journalist of Kathimerini Nena Dimitriou walking up the stairs of the patriarchate. The red color prevails everywhere … Huge windows, bright red baroque textiles, impressive space divided into two large rooms. In the middle of the visitors room an impressive armchair and many smaller guests chairs around… We are in the room that Patriarch meet and communicate with the people. Its Is full of the Greek teachers of Istanbul that came for the annual meeting with the Patriarch … After a while his Holiness arrives at the meeting room and begins his speech. Bartholomaios seems to be very Communicative, his is smiling, photographed with everyone and in the end announced us the upcoming visit of the Pope to the Patriarchate of Constantinople.